WASHINGTON (AP) -- Little Amelia Sloan became a pioneer shortly after her birth. The healthy baby is part of a large research project outside the nation's capital that is decoding the DNA of hundreds of infants. New parents in a few other cities soon can start signing up for smaller studies to explore what's called genome sequencing — fully mapping someone's genes to look for health risks — should become a part of newborn care. It's full of ethical challenges. Should parents be told only about childhood threats? Or would they also want to learn if their babies carried a key gene for, say, breast cancer after they're grown? Could knowing about future risks alter how a family treats an otherwise healthy youngster? And how accurate is this technology — could it raise too many false alarms? This is the newest frontier in the genetic revolution: how early to peek into someone's DNA, and how to make use of this health forecast without causing needless worry. "This was something that was looming over the horizon," said Dr. Alan Guttmacher, a pediatrician and geneticist who heads the National Institutes of Health's child health division. Last month, NIH announced a $25 million, five-year pilot project in four cities — Boston, San Francisco, Chapel Hill, N.C., and Kansas City, Mo. — to start answering some of the questions before the technology is widely offered for babies. Today, the 4 million U.S. babies born annually have a heel pricked in the hospital, providing a spot of blood to be tested for signs of at least 30 rare diseases. This newborn screening catches several thousand affected babies each year in time for early treatment to prevent death, brain damage or other disabilities. It's considered one of the nation's most successful public health programs. A complete genetic blueprint would go well beyond what that newborn blood spot currently tells doctors and parents — allowing a search for potentially hundreds of other conditions, some that arise in childhood and some later, some preventable and some not. "If I truly believed that knowing one's genome was going to be transformative to medicine over the next decade or more, then wouldn't I want to start generating that information around the time of birth?" asked Dr. John Niederhuber, former director of the National Cancer Institute who now oversees one of the largest baby-sequencing research projects to date. At Niederhuber's Inova Translational Medicine Institute in Falls Church, Va., researchers are mapping the genomes of newborns, along with their parents and other relatives for comparison. The long-term goal of the privately funded study is to uncover genetic patterns that predict complex health problems, from prematurity to developmental disorders. But the experimental tests will turn up some gene mutations already well-known to cause serious ailments, and participating parents must choose upfront whether to be told. They don't get a full report card of their baby's genes. Only ones that cause treatable or preventable conditions — so-called medically actionable findings — are revealed, to the family's doctor. That means in addition to pediatric diseases, parents also could learn whether a baby carries a particular breast-cancer-causing gene, information useful once she reaches young adulthood. Nurse Holly Sloan was eager to enroll daughter Amelia, although she thought hard about how she'd handle any bad news. "If it was something that we could hopefully prevent through diet or exercise or some kind of lifestyle change, we could start with that as early as possible," said Sloan, of Warrenton, Va. "I guess I'm just the type of person, I would rather know and address it." Five months after Amelia's birth, she hasn't gotten any worrisome results. Until now, genome sequencing has been used mostly in research involving curious adults or to help diagnose children or families plagued by mysterious illnesses. But many specialists say it's almost inevitable that DNA mapping eventually will be used for healthy young children, too, maybe as an addition to traditional newborn screening for at least some tots. It takes a few drops of blood or a cheek swab. And while it's still too costly for routine use, the price is dropping rapidly. Whole genome sequencing is expected to soon come down to $1,000, what it now costs for a more targeted "exome" sequencing that maps only certain genes and may be enough. The NIH decided this was a window of opportunity to explore different ways this technology might be used. One of the four teams — at Children's Mercy Hospital in Kansas City — will test rapid gene-mapping to speed diagnosis of sick babies in intensive care. Another will look for narrow sets of genes important in childhood, such as those involved with immune disorders not detected by today's newborn screening or that alter how a child processes medication. "It's not going to be some sort of fishing expedition throughout the genome," said Dr. Robert Nussbaum of the University of California, San Francisco. 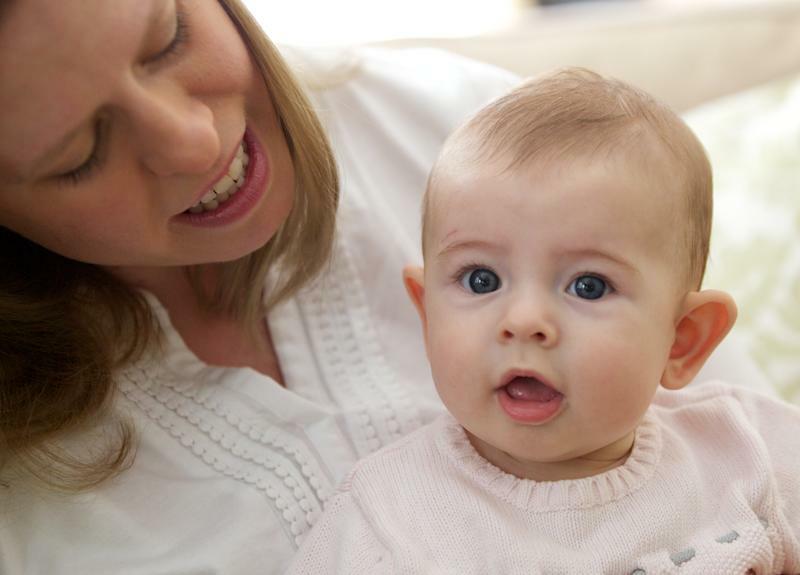 The two other projects — at Brigham and Women's Hospital in Boston and the University of North Carolina, Chapel Hill — will go a step further by enrolling healthy infants as they explore what kind of information parents want about their babies' future. "We aren't even sure that genome-scale sequencing in newborns is really a good idea," cautioned UNC lead researcher Dr. Jonathan Berg in a recent Facebook chat to alert the community about the study. Rather than a one-time mapping, it's possible that "we will use targeted sequencing at certain times in a person's life, when that specific information will actually be medically useful." For those pioneering babies whose DNA is being mapped already, researchers are "trying to figure out what is legal, versus ethical, versus good medicine" in revealing results, said geneticist Joe Vockley, Inova Translational Medicine Institute's chief science officer. Mom and Dad may be told something their child, once grown, wishes hadn't been revealed. Other findings may be withheld now that would be good to know years later, as new treatments are developed. "This is a living, breathing problem," Vockley said, "not a static decision that's made, and it lasts for all time."